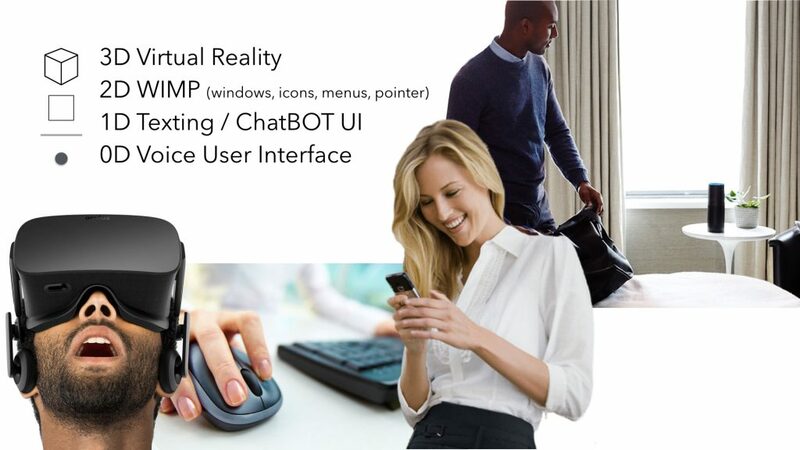 The Language User Interface is the core technology behinds text based (chat-) bots and voice enabled applications. Microphone arrays and far field technologies are now available at market-ready pricing, enabling a large proliferation of environment based voice interaction. Come and learn about best practices for voice and language UIs: Simple patterns like adaptive greeting, randomness, maintaining context, or predictive follow-up, can make an already good Voice and Language User Interface spectacular. If you haven’t noticed yet, Amazon’s Echo has had a tremendous impact on the outlook of voice assistance. Is the era of ubiquitous voice assistants right around the corner? Perhaps, but there’s no denying the rise in popularity of voice and chat driven assistants. Examples include: Amazon Echo, Slack Chat bots, AIML Pandora bots. There are 52 people interested in this session.